Congratulations to 2018's ICISF Scholarship Award Recipients! Below is a list of the scholarship recipients for both the Academy of Crisis Intervention Scholarship Program and the Donald Gow Memorial Scholarship Fund. Keith is from Michigan and is retired Law Enforcement (39 years) and a Volunteer Chaplain at Flint Michigan. One of his goals with obtaining this training is to "show that we can adapt, be happy, and have that same peace and serenity that gives me my drive to learn while contributing back to those that have it worse than me." One of his letters of recommendation states "[Keith] volunteers his time to Elite EMS as our Crisis Intervention Coordinator. He has been very proactive in educating staff, providing in-services to both field and office personnel and leads critical incident stress debriefings for employees who have been involved in troubling crisis or tragic situations and experiences on the job." Dorothy is from Georgia and works as the Director of Counseling at Atlanta Metropolitan State College, where she assists students in the areas of crisis intervention, suicidal prevention, and other behavioral health issues. She also volunteers with the Red Cross to provide crisis counseling. She hopes that this training will make her a better crisis interventionist. Maria is from Tennessee and works as a paramedic for Nashville Fire Department. She has a deep passion for CISM and suicide prevention as many of her colleagues suffer from recognized PTSD. She want to be a part of the change in mentality of first responders and hopes to change the lifestyles of her generation of paramedics and others starting in emergency medicine. 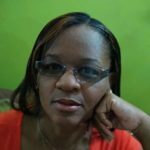 Alicia is from Trinidad and Tobago and is a school social worker who often responds to critical incidents in schools throughout the area. She is a volunteer with the Trinidad and Tobago Critical Incident Support Team. She applied for an online course scholarship because "suicide is a huge but ignored part of our culture in Trinidad and Tobago...Thus any intervention is done on a reactive level." She hopes that this scholarship will provide her with more exposure to training and provide her with more skills and techniques in crisis interventions. In her letters of recommendation, they state "Given her passionate willingness to contribute to social health, there is absolutely no reservation in recommending her for this (scholarship)...she is an ambitious, self motivated, resilient individual." "[Alicia] continues to seek out opportunities for increased professional development as she gives herself selflessly to the empowerment of individuals who have experienced varying levels of trauma in her country...Alicia has proven to be caring, committed, and naturally talented in working with vulnerable individuals." Amanda is from Texas and currently works as a full time dispatcher. She is currently trying to put a team together for her fellow co-workers and first responders locally and hopes that this training will give her ideas to help her fellow co-workers in the dispatch centers and their families. David is from Tennessee and participates in leading CISM for regional first responder agencies and hospitals in east Tennessee with the Tennessee Emergency Services Chaplain Association. Through this training, he hope to sharpen his skills in CISM and become more effective in assisting police officers with their work-related stress. Lawrence is from Indiana and is retired from Louisville Metro Police Department. He hopes that this training will allow him to upgrade his skills so he can better assist other law enforcement and fire/rescue individuals become aware of CISM in his community. Stephanie is from Texas and is currently a Firefighter/Paramedic with the Cleburne Fire Department. 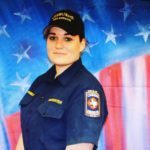 She has been in the fire service for 10 years and her past positions include being a volunteer firefighter, EMT, and a Fire & EMS Dispatcher. She has been a part of a Critical Incident Response Team in her area, which gets activated to respond to crisis involving volunteer/career firefighters, police officers, government officials, and family members. She hopes that by participating in this training, the courses will benefit her to share her success story in overcoming her own personal traumatic stress and help her fellow peers become success stories by overcoming crisis. In her letters of recommendation, they state that she "has distinguished herself with a passion for the job and a dedication to excellence." "Stephanie's understanding of the importance of peer support comes from her professional experiences in fire support. She uses her CISM training on a daily basis to promote health and wellness in the fire service." 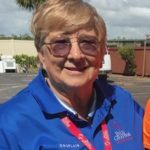 Linda is from Georgia and currently works as a Billy Graham Chaplain RRT and Red Cross Disaster Volunteer. She constantly comes into contact with diverse groups of people at different stages of stress following disasters. She hopes that this training will enable her to respond in a more effective and professional manner. In her letters of recommendation, they state that the Billy Graham RRT "was deployed to the Naples, FL area after a hurricane last fall to assist the hurricane victims dealing with a tremendous loss. Chaplain Vaccaro's willingness to listen to each victim's story and help them bear their burdens was humbling." 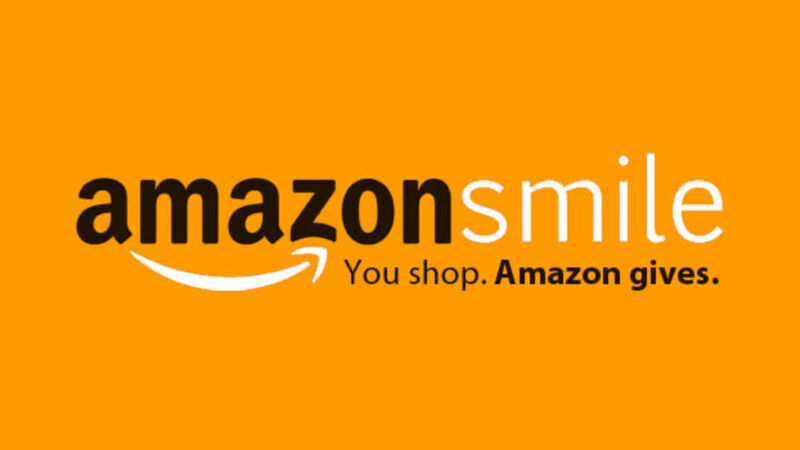 "Linda wishes to continue to help those in need at various disaster sites." Michael is from Ohio and works as a Pastor, Part-Time Firefighter, and EMT with the Austintown Township Fire Department. He has a desire to serve his fellow first responders in crisis and educate them in crisis management as the need has increased. He is hoping that “this training will prepare him to come alongside fellow first responders in their department who are struggling with the emotional and psychological stress that comes with their careers.” Long term, he hopes to develop a chaplain program in their area to assist chaplains after they respond to incidents. Terri is from Illinois and works as a police chaplain for Lemont Police Department as well as being the Founder/Executive Director of Community Services Rep of Lemont Township and the Coordinator of Lemont Medical Reserve Corps. She hopes that this training will welcome the opportunity for her to learn strategies, ideas, and perspectives from this course to use in her role as chaplain and being of any and all assistance to her officers. Short term, she hopes to continue to be a “go-to” for those within my corner of the world who need her ears, hands, feet, and heart. Wilhelms is from Washington state and is a former police officer who volunteers with Support Officer Community Care, who goes out with first responders on crisis calls to support families experiencing tragedy and trauma. He hopes to apply this training to his work with first responders and their families. Byron is from Washington state and works as an Advanced EMT and leader of the Peer Support Team of Aero Methow Rescue Service. He hopes this training will help him to become a better leader of the CISM team and assist those who have been affected by critical incidents. Julie is from California and works as an EMT for American Medical Response. She is excited to discover new information in resilience and recovery. She hopes this training will provide her with a variety of framework to support her peers in law enforcement and the fire department. Her long term goal is to find solutions to implement education to local first responders and veterans. Harry is from Maryland and works as a Chaplain at the Mount Airy Police Department. He assists officers, their families, and other department employees to identify those who may be in crisis or have been traumatized after a critical incident. He hopes that this training will strengthen his knowledge and understanding and allow him to be more effective in his role as police chaplain for the department. Jeffery is from Texas and works for the Beaumont Police Department. As a police officer and veteran, he is always going above and beyond to assist his peers, other first responders, and veterans who are in crisis. He was awarded a scholarship for the Houston Regional Training and hopes to continue to provide first responders and veterans with the crisis intervention they deserve. Michele is from Mississippi and owns her own counseling service, Practical Solutions Counseling and Consulting, PLLC. She is hoping to implement the education and training in her practice and service to the community. She currently works with children, adolescents, and military veterans who have experienced various forms of trauma and abuse. Janene is from Canada and works as a trauma incident responder with Employee Family Assistance. She hopes that this training will allow her to further support the local CISM for Communities agencies and contribute to suicide intervention and prevention to a community in need. Denay is from Canada and works as a Lieutenant for the Eaglesham Volunteer Fire Department and volunteers on PACE’s CISM Team. He hopes this training will better help with his roles in both the CISM Team and as a firefighter when he responds to a critical incident. Katelyn is from Idaho and works with the US Forest Service as a wildland firefighter. She is passionate and proactive about finding ways to help prevent suicide of other firefighters. She has developed “6 Minutes of Safety”, an interactive program which directs daily safety and health messages to all wildland firefighters across the United States. Pauline is from California and works as a dispatcher for Riverside Sheriff’s Department. She hopes that this training will allow her to assist in helping the departments 80 dispatchers when a critical incident occurs. They have begun a team within their department called Dispatchers Achieving Relief Together (D.A.R.T) to assist their dispatchers with wellness, peer support, and CISM. Each year, ICISF consults with the Gow family to decide where they would like the scholarship monies to be applied. This year, the Gow family offered three scholarships to the Baltimore Police Department and Annapolis Police Department. 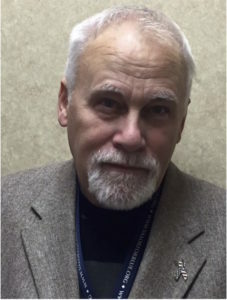 This scholarship fund was created in honor and memory of Donald Gow, Sr., a longtime ICISF employee, retired Baltimore City firefighter, and Marine veteran, who passed away suddenly in 2015. Don Gow was committed to assisting anyone in need of CISM resources and he made a tremendous impact here in Maryland and all over the world. This scholarship fund is utilized to send a member of the local public safety community to Regional Trainings that would not be able to attend otherwise due to agency funding restrictions. It is through our members, supporters, and sponsors that we are able to offer scholarships to deserving individuals like you for essential training. 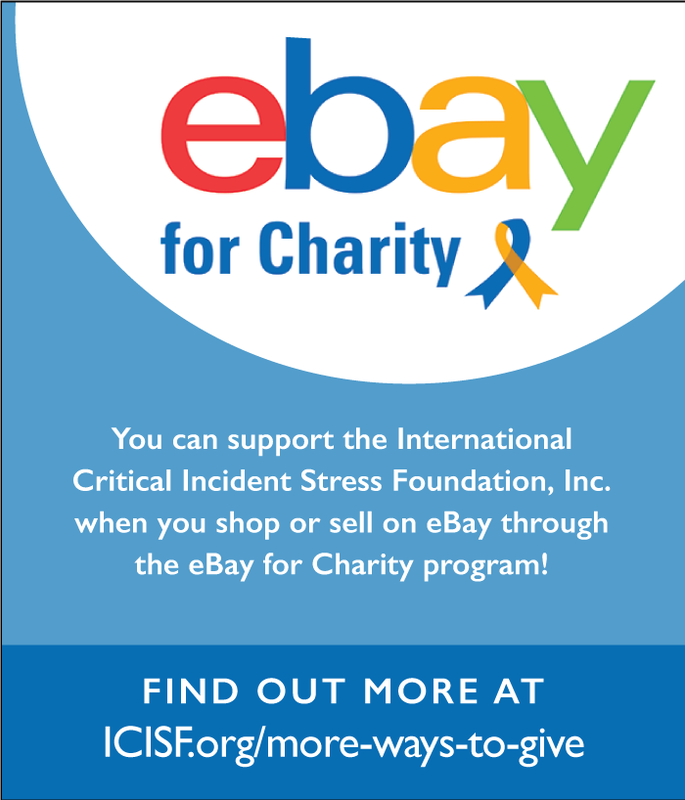 “The International Critical Incident Stress Foundation recently awarded three scholarships from the Donald Gow, Sr. Memorial Scholarship Fund. The scholarships were awarded to Azalee Johnson and Gary Edmondson of the Baltimore City Police Department and Alfred Thomas of the Annapolis Police Department. My name is Jeannie Gow, and Don was my husband. Not only would Don be overwhelmed and touched by the fact that the Fund is still active thanks to the generous support of so many donors, but he would be extremely gratified to see that the scholarships have been awarded to outstanding officers from these departments. Don worked in Baltimore City and lived in Anne Arundel County, so being able to help officers in these local jurisdictions would mean a great deal to him. Don knew the importance of Critical Incident Stress Management, and he knew it at firsthand. Don knew how hard it was to cope with the aftereffects of the things he had experienced, and he knew the importance of being able to talk to a brother or sister officer.